The stylish Aquarius Hotel on Street 240 is known for their rooftop infinity pool, but offers much more. 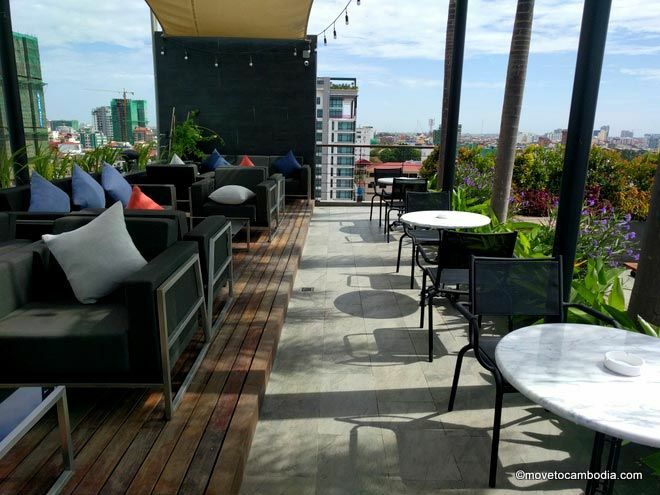 This new hotel on Street 240 hasn’t been open long, but is already popular with expats who come for staycations or just to enjoy the stunning views from the gravity-defying infinity pool on the hotel’s rooftop. Aquarius is popular with expats because of their gravity-defying pool. 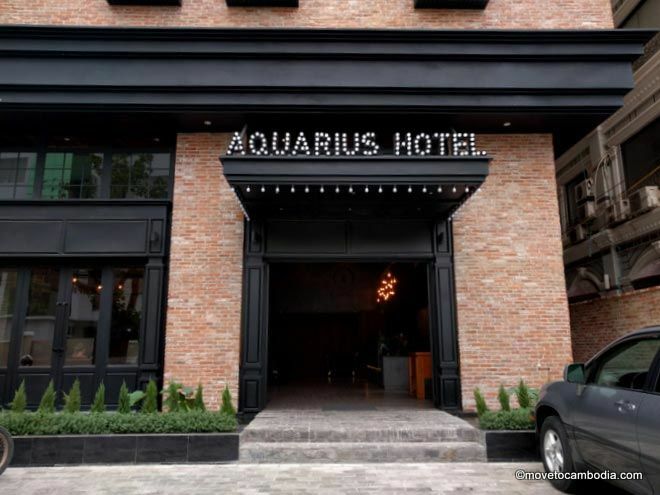 The Aquarius Hotel comes from the same people behind the popular Patio Hotel nearby, and already is garnering rave reviews. 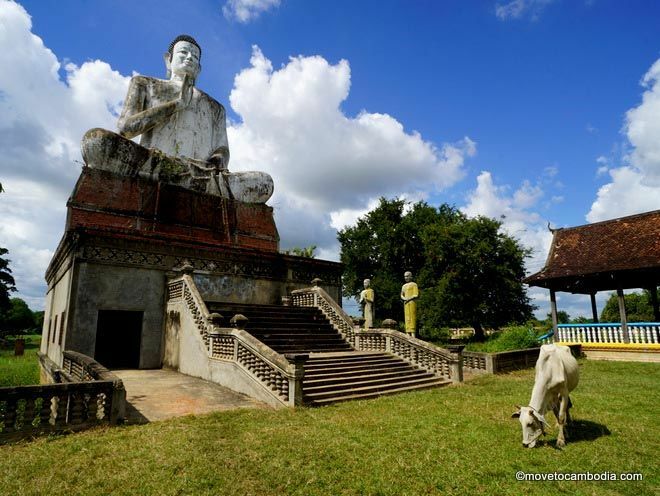 Ideally situated, the hotel is just a block east of the quirky shopping and clothing boutiques on Street 240. The rooms at Aquarius are modern and well designed, with an attention to detail that makes a stay more enjoyable — everything from stylish industrial light fixtures and plumbing inspired clothes racks, to the simpler features that are so often neglected: hooks and hangers to hang up towels, adequate shelving; a ceiling air conditioner (that’s not aimed directly at the bed) with wall controls next to the bed; the usually elusive hot water sink; and a chair if you don’t want to watch the flat screen television from bed. The larger, more expensive rooms have dedicated seating areas with table and chairs, and large stone bathtubs. A standard room at the Aquarius. One detail that I appreciated was the fact that shampoo and conditioner were included in the bathroom — since a full fifty percent of the popular uses conditioner, I don’t understand why so many hotels only provide shampoo. The beds are comfy, with a thick pillow-top mattress, and our room came with several pillow sizes, another nice touch. The mini-bar has a glass door which is much more attractive than the usual bland white refrigerator, although seeing the contents was a difficult temptation to resist. On the plus side, the mini-bar charges were reasonable, $1.50 for a local beer or $1.25 for a soda. Bottled water and a coffee and tea station are provided free of charge. Rooms come equipped with WiFi, an electronic safe, and there are a bevy of toiletries, although I disapprove of having the soap replaced every day — there’s no need to waste the soap (and the plastic packaging). 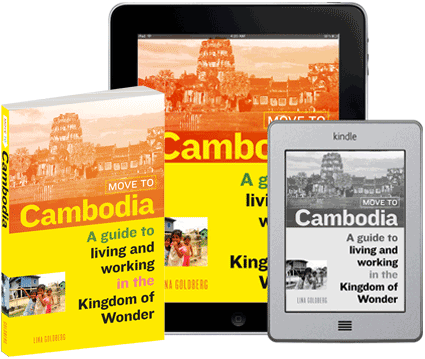 In the heart of Phnom Penh on Street 240. Downstairs there’s an exhibition by Cambodia-based artists, and when we stayed, the halls were lined with wonderful black and white lithographs and intaglio prints. When most hotels suffice with putting up a few same-same paintings of Apsara dancers on the walls, it was nice to see that the artwork had been thoughtfully curated. The best part of the hotel is, as previously mentioned, the skybar and infinity pool. The infinity pool is flush with the side of the building only a glass guard rail, making swimmers feel like they may be in danger of falling off the edge of the earth. 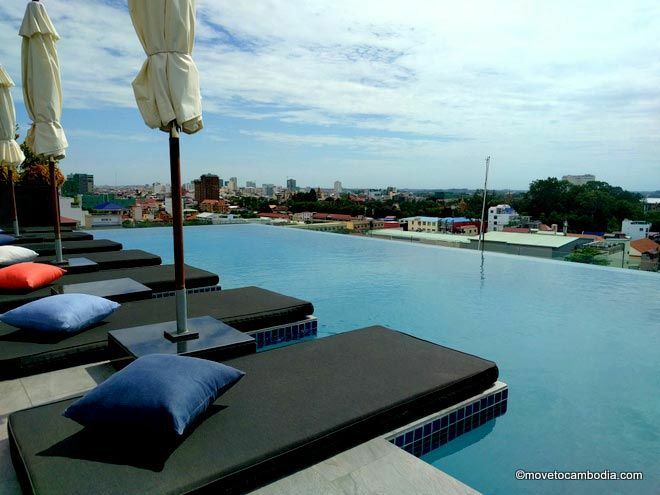 The views of Phnom Penh are stunning — from the pool you can see the Tonle Sap marry the Mekong and the stupas of the Royal Palace. It’s popular with guests as well as expats who’ve already discovered the pool, which can be used by non-guests for $12 per day (or $6 during the current introductory period). If you’re not afraid of heights, rooftop seating at the Aquarius. But not everything about the Aquarius was so impressive. Breakfast is included with every room, but the choices are extremely limited, the portions are small, and the service is no less than shambolic. We were brought the wrong meal, didn’t get drinks until we asked several times, and the clearly flustered staff were practically crashing into each other while haphazardly trying to take care of the relatively small number of guests. We saw the manager get a tongue lashing out by one frustrated guest who had been trying to get toast to go with his eggs for ten minutes, and was ultimately unsuccessful. I’m sure, though, that this will improve once they’ve been open for a while, but right now the service at the bar and restaurant is not up to the standards that a hotel in this price range should be. Room rates are between $100 and $170 per night. Suites are between $200 and $270. As a opening promotional special, rooms are currently 50% off, starting at $50 for a standard room up to $130 for the Aquarius suite. Prices are the same if you book directly through the hotel or via a booking site. 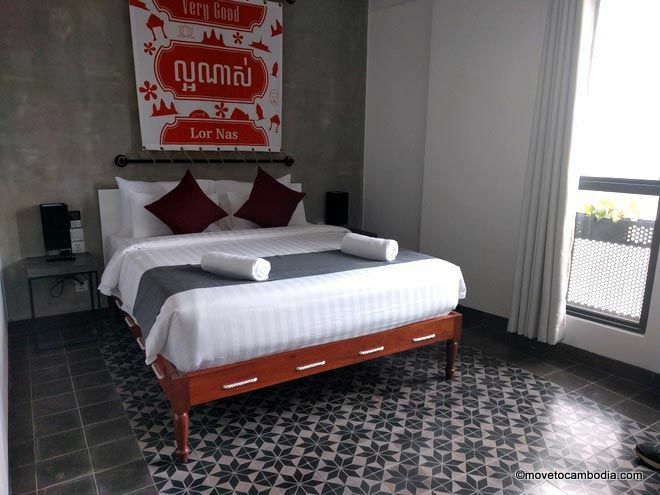 → Check prices and book a room at The Pavilion Hotel on Agoda or Booking.com now.